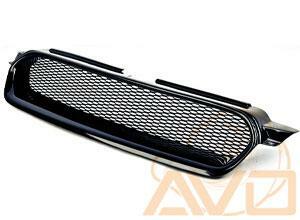 AVO sports grill for the Legacy. Direct bolt-on and a perfect fit. Constructed of thick fiberglass with a black gel-coat ready for painting, and with a steel mesh at the back.